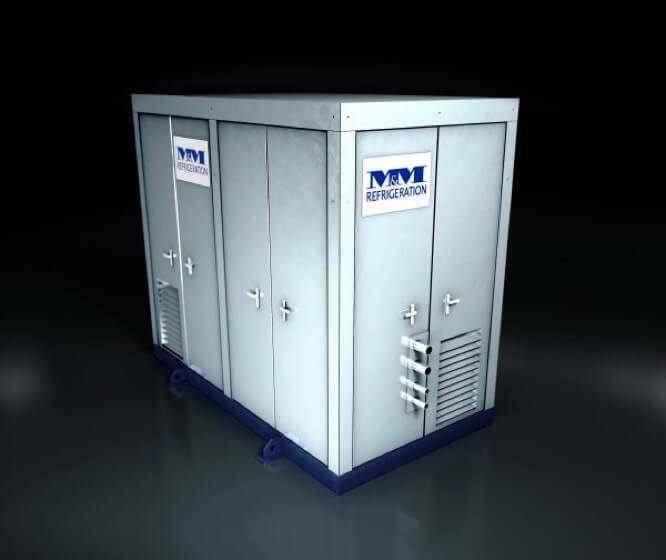 Pure Refrigeration is M&M’s newest line of configurable modular systems for any industrial application. There are 3 models available- Pure Chill, Pure Freeze, and Pure Cold. All three models have a low ammonia charge- 1/2 lb. or less per ton- and are offered in sizes ranging from 50 to 200 tons. 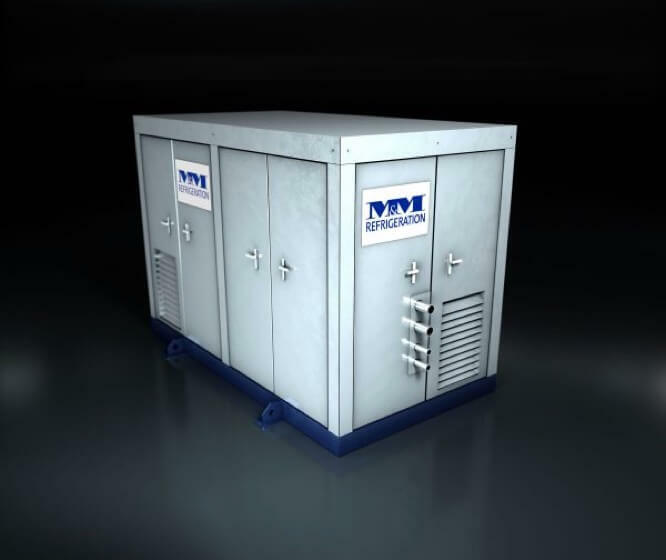 Pure Refrigeration systems are prefabricated and delivered assembled so the time for installation is significantly reduced, along with labor costs. Less on-site construction means faster and easier installation for the receiving facility. 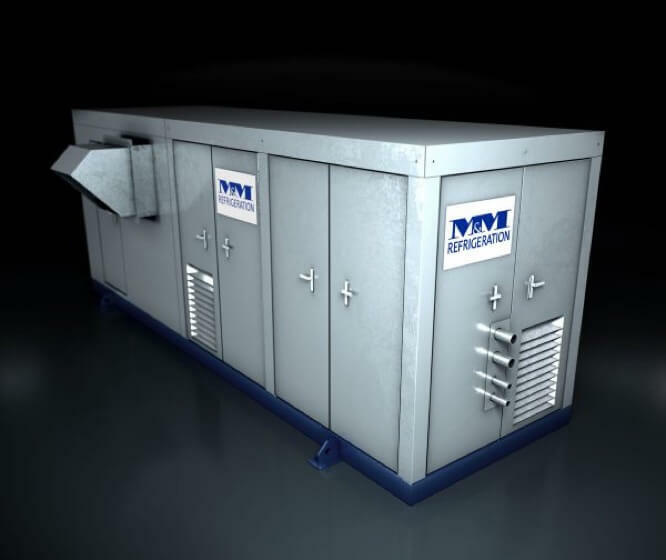 Since all of the Pure Refrigeration models have a low ammonia charge, PSM costs are lower than standard systems, insurance rates are reduced, and there is a safer work environment for your employees and products. Pure Chill, Pure Freeze, and Pure Cold all use natural refrigerants. Whether it is ammonia or CO2, both have a minimal Global Warming Potential (GWP) and are considered environmentally friendly.